This was the impulse buy of my life! I received an e-mail this morning from a local music shop in Redwood City, CA while I was writing “The Reach & The Depth.” The sound of “basso” that I hear on the rare occasions that I actually receive an e-mail never fails to draw me away from whatever more-important things I may be doing at the time. This particular e-mail was announcing the release of Fender’s new line of American Standard Stratocaster and Telecaster electric guitars and the limited-time-only prices on these legendary instruments. I called Rachel immediately to calm me down and convince me not to go down to Gelb and spend 3/5 of my savings on a new electric guitar … I had just spent all of my savings from Atlanta on a new acoustic guitar only 6 months earlier … this was not a good idea at all!!! “Surely she would be the voice of reason” I thought. But alas, I was mistaken. Not only did she not convince me to not go, she actually pushed me over the edge! 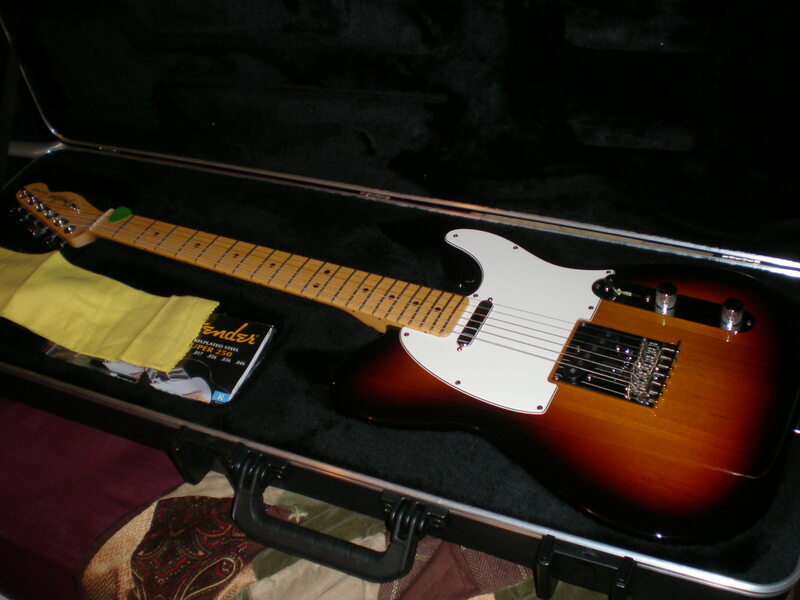 So $950 later (that is an incredible deal, by the way), I am the proud new owner of a 2008 American Standard, Fender Telecaster! And I only point out Rachel’s role in jest, knowing that she will try and defend herself. So I’ll give her a head start: I sincerely need more spontaneity in my life, and in the scheme of things, $950 won’t break the bank and can be replenished fairly quickly. Plus, I am very happy with the purchase. ~ by Will Norman on February 10, 2008.